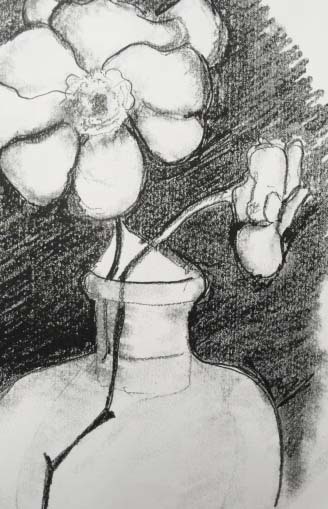 When you draw something, say a vase with roses, you naturally are interested in the subject. 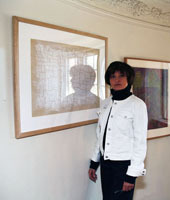 You get absorbed by the challenge of light and shadow and proportions. When you’ve solved all the problems of representing the subject credibly, you stand back and what you’re going to see is an illustration of the vase with the roses. This is quite satisfying. But I’m going to challenge you further. I’m going to claim that the illustration is not enough: it’s not art. For this work to be considered art we need something more, we need some drama. You can create drama by becoming aware of “negative space.” All the space around the vase-and-roses needs to be given its due attention. The drama of negative space comes into focus through the simple act of cropping. 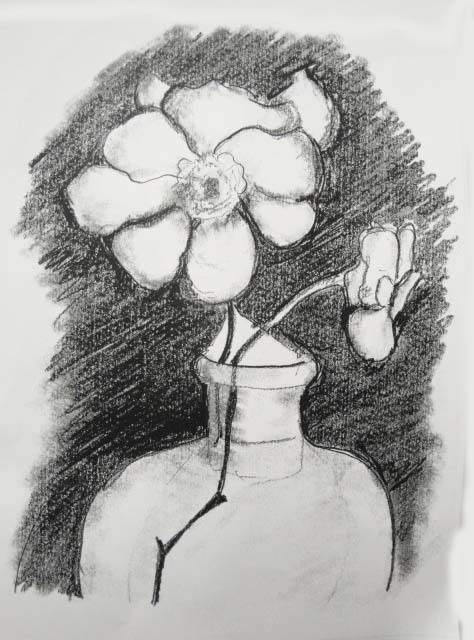 By cropping your drawing you go beyond the literalness of the vase-and-roses. 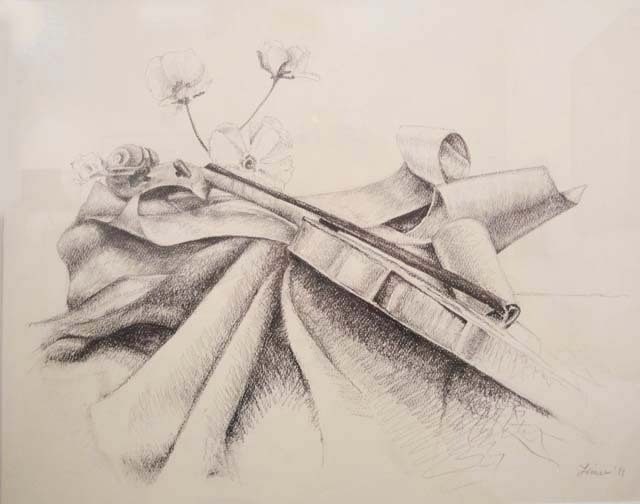 You make the viewer aware that your drawing is not an illustration—how trite that is!—but an invitation to reflect on the complexity of reality and the mind games we play as we try to navigate through that reality. Cropping what was originally an illustration makes the image more immediate and momentarily invites the viewer to go deeper than the mere identification of what’s depicted. 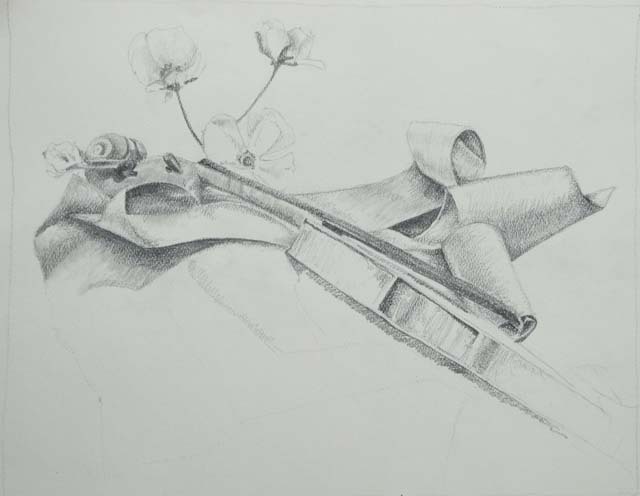 Drawing of vase and roses by Karen G.